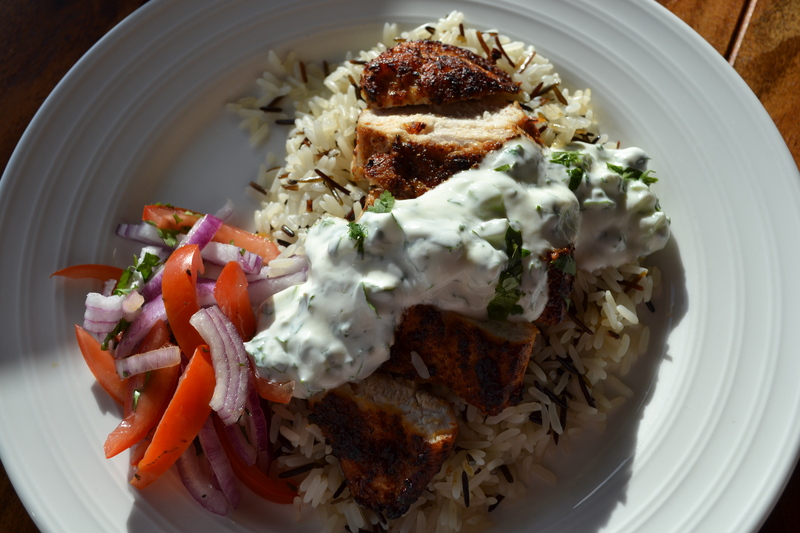 This evening’s dinner of hot, spicy Cajun chicken breast served with a cooling mint, coriander and cucumber yoghurt with rice was so quick and easy to make. This isn’t so much a recipe but perhaps more a suggestion as there really isn’t much involved in making it – I use Schwartz Cajun Seasoning but if you really wanted to you could blend your own Cajun spice mix, I am sure there are probably thousands of recipes out there. Preheat the oven to 180ºC. Sprinkle chicken breasts (one per person) with Cajun seasoning. 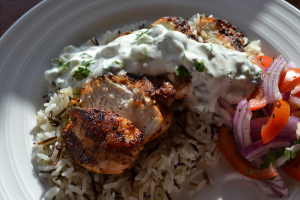 Heat one tablespoon of oil (rapeseed or olive) in a non-stick frying pan over medium heat and add the chicken. Cook for 5 minutes on one side then turn and cook the other side for five minutes – the spices will blacken quite a bit. Place the chicken in the oven (in the pan if it is ovenproof or on a preheated baking tray) and cook for a further 15/20 minutes. 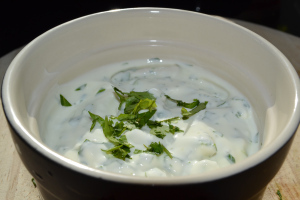 Meanwhile cook some rice – I used a mix of long grain and wild rice – and make the yoghurt dressing by mixing diced cucumber and a handful of chopped mint and coriander with a few tablespoons of Greek yoghurt. 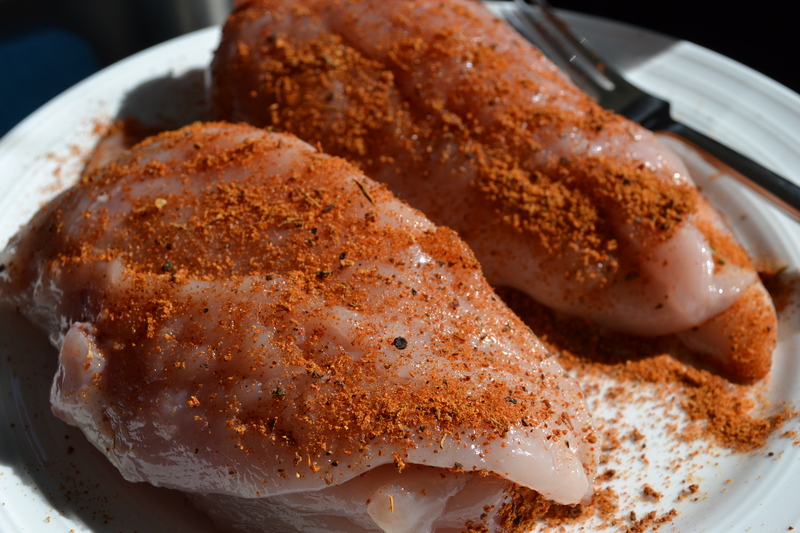 Remove the chicken from the oven and slice each breast in to four or five slices. Place on top of a mound of rice and top with a big dollop of yoghurt. 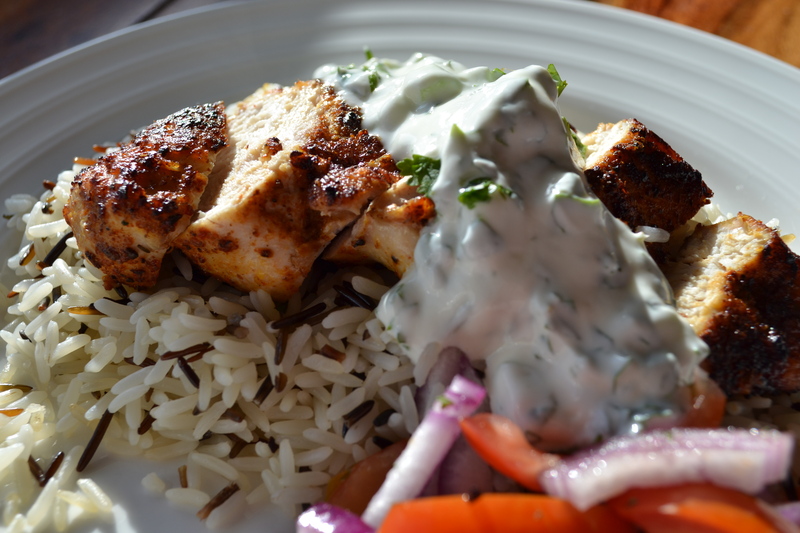 Chicken Tikka Masala - Rick Stein's Far Eastern OdysseyIn "Dinner"
Chicken curry with yoghurt and tomatoesIn "Dinner"
Wow, that looks really good! And I don’t even like spicy things. Was it really hot? Hello Breige! It was so tasty – not too spicy at all and you sprinkle the chicken with more or less seasoning to suit your taste. The yoghurt is very cooling. Really simple but tasty dinner.